ROW’s Board of Directors are medical, business and rowing professionals that have come together to make ROW possible through gifts of time, talent and resources. David has been involved in rowing since 2006, when his sons first participated in the junior rowing program of St. Ignatius Chicago Rowing, which he served as president from 2009 to 2012. David serves on the ROW board as an advocate of our programs and our work with survivors, and helps facilitate a mutually beneficial relationship between the two clubs, which have worked together closely since day one. Since early 2018, David has been principal of Spokes Advisory, which provides legal, compliance, governance and operations advice to business entities and not-for-profits. Prior to that David was Executive Vice President of Christian Brothers Investment Services, an institutional investment management firm which he joined in 1998, and an equity partner in the Chicago law firm of Lord Bissell & Brook, where he practiced securities and corporate law. For many years, he has witnessed first-hand the many positive fruits of the sport of rowing and, in particular, the great work that ROW® does with survivors. Laura first joined ROW in early 2016, when she was midway through her chemotherapy regimen and bald as a cue ball. Prior to that first indoor practice, Laura had never been a rower and had not participated in team athletics since playing on the men’s water polo team as an undergraduate at Northwestern. 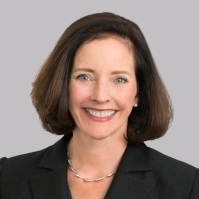 Laura is a partner in the litigation department at the law firm of Loeb & Loeb, where she serves as the Co-Chair of the Retail and Consumer Brands group and head of the Chicago Pro Bono Committee. She teaches young lawyers across the country as a faculty member for the National Institute for Trial Advocacy. Laura regularly volunteers at the Healing Boutique at Northwestern Memorial Hospital, where she provides wigs free of charge to people undergoing chemotherapy treatment. She is the proud mom of two young daughters, who now view all of the ROW team members as their unofficial aunties. Sheena was introduced to rowing as a walk-on freshman at the University of Washington in Seattle. Though elite collegiate rowing ultimately wasn’t a fit with her double major, she remained passionate about the sport and rowed at Green Lake Crew when she could. She was introduced to ROW in 2009 and has been coaching ever since, bringing her love of water, boats, communication, laughter, and type-A organization skills to help cultivate the incredible team ROW has grown into today. Professionally, Sheena is immersed in the inner workings of the procurement and supply chain industry through product development and delivery and day-to-day site and client management as Vice President of Client Services at Azul Partners. Margaret has been rowing since 1997, in the earliest days of Ignatius Chicago Crew. She continues to row as a competitive sculler with Lincoln Park Boat Club and holds several Masters National titles. Margaret has a background in education, arts integration and learning design. She is the Program Manager for Convergence Design Lab at Columbia College Chicago, where she builds and manages learning, digital, and civic media projects across public, private and cultural sectors. Rowing has been a pillar in Margaret's life and has provided her with powerful experiences of camaraderie, teamwork, fitness and focus. She is honored to be part of ROW and to share the benefits of this sport for healing and empowerment. Health, fitness, sport, and relationships fuel Byron’s passion for helping others. Byron’s love for sport started at an early age, being the son of an Olympic (Jamaican) runner. He spent his childhood, adolescence, and young adulthood competing in various sports – ultimately landing in the sport of weightlifting and Football (University of Florida). Byron’s exposure to a lifestyle of sport, health, and wellness, led him to the realization that he wanted to create and have a positive affect on everyone he encountered. Byron now owns and operates one of Chicago’s most influential gyms – Bluprint Fitness – where their team creates an atmosphere of positivity, innovation, and results. Along with contributing to making the program great, Byron annually hosts 26.BLU (an annual erg marathon benefiting ROW) and allow access for ROW members to Bluprint facilities for indoor rowing classes. 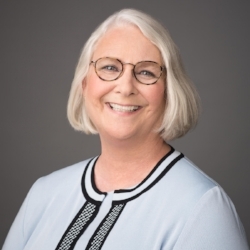 Co-founder of Recovery on Water, Sue Ann has spent her 22 years in Evanston as a mom and community volunteer, active in local school classrooms and School Improvement Teams and on the boards of early childhood education, mental health, arts and civic organizations. Diagnosed in March 2007 with breast cancer, Sue Ann’s oncologist urged her to exercise as a way to mitigate side effects of chemotherapy and to reduce recurrence. When she read about a rowing team for breast cancer survivors, she felt this could be an antidote to chronically falling off the exercise wagon: a team, she thought, could provide motivation and support that she had trouble providing for herself. 6 weeks after crossing paths with co-founder Jenn Gibbons, Recovery on Water was born! 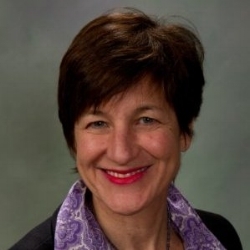 As the former Executive Director of Episcopal Charities and Community Services, Georgianna brings more than 30 years experience in the not-for-profit sector, in both religious and secular organizations. Georgianna provided direction for the Board of Trustees, who managed ECCS’ invested funds, and leadership for a network of 15 diverse social service agencies whose budgets total more than $35 million and whose services annually reach 60,000 individuals. As a survivor herself, Georgianna brings a passion for fighting the disease as well as a wealth of experience in the nonprofit sector. 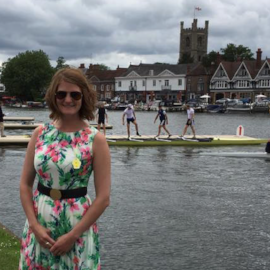 Sandra has rowed with our team since 2011, when she joined as a novice who had never rowed before or played any team sport. She immediately fell in love with rowing as a full-body exercise and our team of very special women. Diagnosed in 2005 with breast cancer and again in 2007, Sandra used exercise to manage the effects of radiation, hormone therapy, and multiple surgeries. She believes exercise enabled her to recover from a life-threatening infection that followed her last surgery. After her first diagnosis, Sandra looked for ways to serve others and began volunteering with Y-Me of Illinois where she helped manage its donor database, plan annual fundraisers, and open a new office with support services in Springfield, IL. Sandra served as Board Chair of Y-Me of Illinois. On ROW’s Board, she has responsibility for outreach to Chicagoland breast cancer organizations. Don was born and raised in Illinois. He is a graduate of Loyola Academy (’84), Fairfield University (B.A. ’88) and The John Marshall Law School (J.D. ’91). 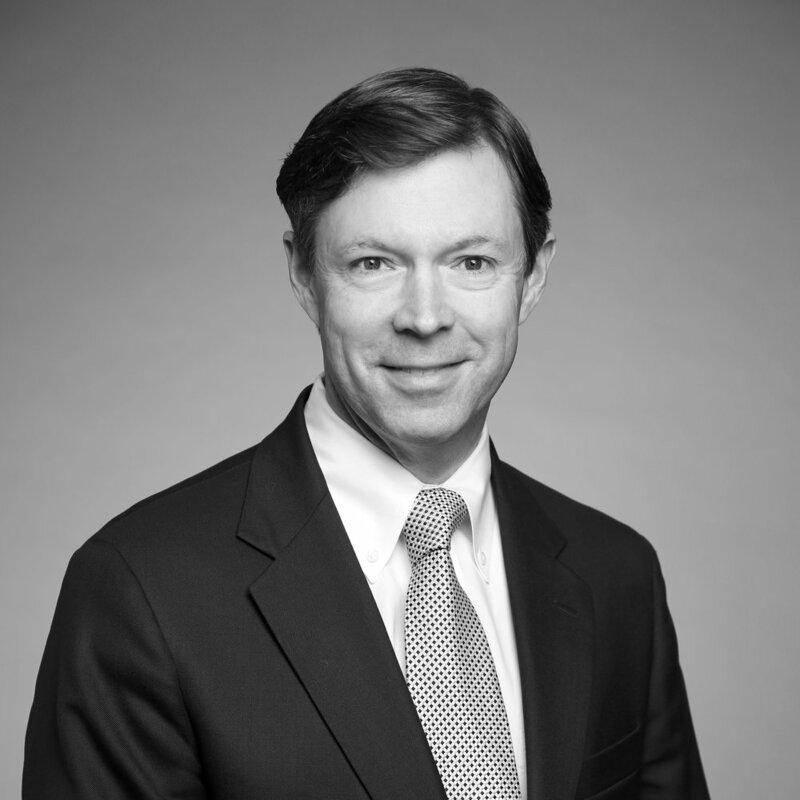 He is a partner in the law firm of Lindsay, Pickett & Postel, LLC. He is a member of the board of directors of the Illinois Association of Defense Trial Counsel, and former editor-in-chief of its flagship publication, the IDC Quarterly. Don is a sports enthusiast. He is a lifetime member of Friends of Fairfield Rugby, a 501(c)(3) organization which supports Fairfield’s undergraduate rugby club in Connecticut. He is a member of the Lincoln Park Old Boys Rugby Football Club. He began rowing in 2014, and is now an avid rower. Don is deeply interested in supporting ROW’s mission and vision. Gary started rowing with a fledgling Crew at Virginia Tech in 1992 and rowed the in school’s first Men’s Varsity Eight. Gary continues to be an avid boater and an active member of the United States Coast Guard Auxiliary, where he serves as Chief of Prevention, leading the organization’s Recreational Boating Safety, Marine Safety, and Public Affairs programs for the four-state area surrounding Lake Michigan. Kymberly was diagnosed with Breast Cancer on July 25, 2012 and joined the ROW team in February 2013 as a novice rower who had never rowed before. Kymberly fell in love the sport, the women and coaches on the team. ROW quickly became her second family. When she's not rowing, Kymberly works as an investigator with the City of Chicago, where she takes pride in the work she does. Kymberly is also a certified Concept 2 indoor rowing instructor and coaches community indoor rowing classes at the Eleanor Boathouse. Despite having no rowing experience himself, Dr. Samman (Sam) Shahpar has been a fan of Recovery on Water since becoming familiar with the program in 2014. 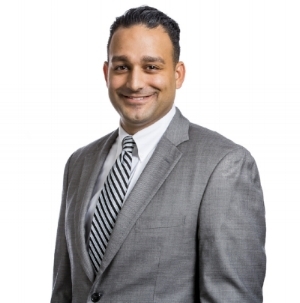 Dr. Shahpar is a physiatrist currently leading the Cancer Rehabilitation Program at the Shirley Ryan AbilityLab. Dr. Sam moved to Chicago in 2009 after completing his training in the field of Physical Medicine and Rehabilitation (PM&R) and started to develop his expertise in Cancer Rehabilitation. Since then, he has become a member of the Robert H. Lurie Comprehensive Cancer Center of Northwestern University and gained extensive experience in assessing and treating cancer survivors of all diagnoses. His focus is on changing the culture of cancer care to ensure that the functionality and fitness of survivors is not an afterthought. Since meeting Jenn Gibbons in 2014, Dr. Shahpar has been referring patients to ROW with great enthusiasm. As a board member he now hopes to add to team from the inside. Fran began her rowing career at Purdue University in 1976 and has been rowing in Chicago since 1988. Fran has rowed for and been a part of the Cincinnati Rowing Club, Chicago River Rowing and Paddling, Lincoln Park Boat Club and is the founder of the Buchanan Rowing Club. . She is a Master's Nationals Medalist many times over. Fran is a hedge fund manager at Fairpointe Capital, a member of the Steppenwolf Theatre Directors Circle, and a director of the Royal Treatment Vet Hospital. As someone who has seen friends and family suffer from the disease, Fran brings her love for rowing and passion to fight breast cancer to the organization as the current Board Chair and wants to see ROW® thrive as a resource for survivors. ©2018 Recovery on Water (ROW). All rights reserved. | Recovery on Water is a 501(c)(3) tax-exempt organization.